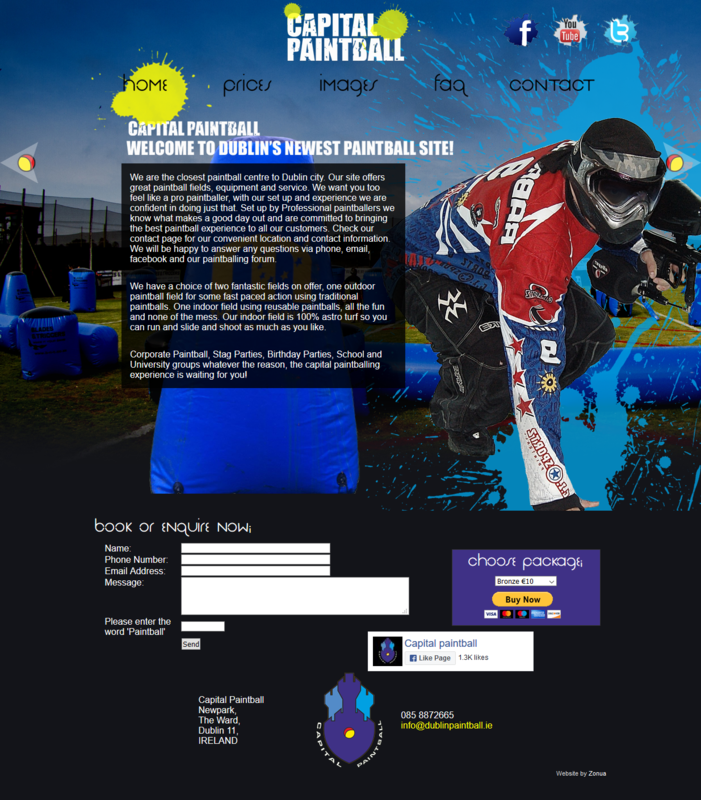 Capital Paintball is a paintball centre situated in Newpark, North Dublin. It's the nearest paintball centre to Dublin City. Their place provides two paintball fields, outdoor and indoor! They were the first paintball place in Ireland to bring into the game, the concept of reusable ball or re-ball, which is environmentally friendly, cheaper for their customers and pretty cool! They got in touch with Zonua in 2011 in order to get a fancy website that could correspond to the expectations of the future players! We baked this website with joy and gave it a fun, colourful and easy-to-use style! We used a parallax effect (scroll left and right on desktop), which got the website a lot of recognition and fame. For a website built in 201X, it is really standing the test of time, and still looks impressive! Mobile Friendly: No, but be fair, it was built back in 2012 before RWD was a standard!